IROC Our IROC Whole Home Water Treatment System removes 98% of Chlorine, bacteria, cysts and heavy metals from your water. The KDF-55 media prolongs the life of the carbon and resin. Pure Water Systems provides water softeners to suit your needs. We carry several lines of equipment and have the capability of customizing one that will address your concerns and deliver what you need. We sell and rent equipment. We do not have a standard "cookie" cutter model that we "squeeze" you into......your equipment will be efficient and fit your requiremments. Water Glass You are what you drink! Drinking water helps nearly every part of the human body function. Considering that our boides are almost two-thirds water, understanding water's important role in the body can be a fountain of health. We rent and sell Reverse Osmosis Drinking Water Systems, point of use dispensers and designer faucets to match the finish on your fixtures. 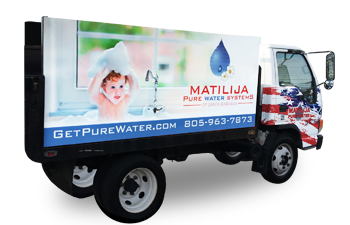 Our Sister Company, Matilija Bottleless Water delivers to your home or office every two weeks! Here at Matijila we have Bottleless water dispenser options for all of your pure water needs. Let us take care of delivering the salt or potassium for you softener. Eliminate the headache of running around for bags of salt and spend your time enjoying your soft water! Our delivery service is also a service package for your softener. 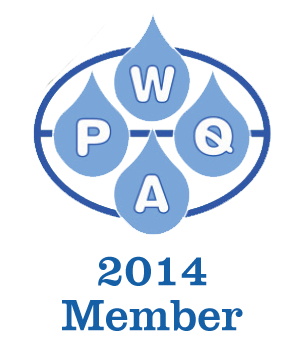 Pure Water Systems also offers various types of service contracts and maintenance programs for your home owned equipment. Our highly skilled Service Technicians are knowledgable on everything under the sun! We can customize a water softener so you can enjoy wonderful soft water anywhere you travel. So have you heard you can softener water without adding salt or potassium? If it could be done we would be renting and selling it! If it sounds too good to be true, it probably is. Portable Exchange Tanks were the very first type of water softening equipment to come out well before any of the on demand style water softeners. Exchange tanks are an appropriate fit in many applications.